Throughout his career spanning close to four decades, Daniel Joseph Martinez has engaged in an interrogation of social, political, and cultural mores through artworks that have been described as nonlinear, asymmetrical, multidimensional propositions. Operating with fluidity and as open source manifestations not bound by any singular category, his works extend from the ephemeral to the solid. Martinez’s practice takes the form of text, sculpture, photography, painting, installation, robotics, performance, and public interventions to unapologetically question issues of personal and collective identity, vision and visuality, and the fissures formed between the appearance and the perception of difference. Ongoing themes include contamination, history, surveillance, violence, nomadic power, cultural resistance, war, dissentience, and systems of symbolic exchange, directed toward the precondition of politics coexisting as radical beauty. Their commonality is that they all address topics of race, class and sociopolitical boundaries present within American society. Martinez represented the U.S. in 11 biennials worldwide, including the Venice Biennial (1993); Istanbul Biennial (2011); Berlin Biennial (2010); California Biennial (2008); Lyon Biennial, France (2013); two Whitney Biennials (1993, 2008); designated the United States in the American Pavilion in the Cairo Biennial (2006), in addition to two international projects of U.S. Department of State. Martinez has received three National Endowment for the Arts Individual Artists Fellowships, a fellowship from the Getty Center, an Alpert Award in the Arts and a Pollock-Krasner Foundation Grant. 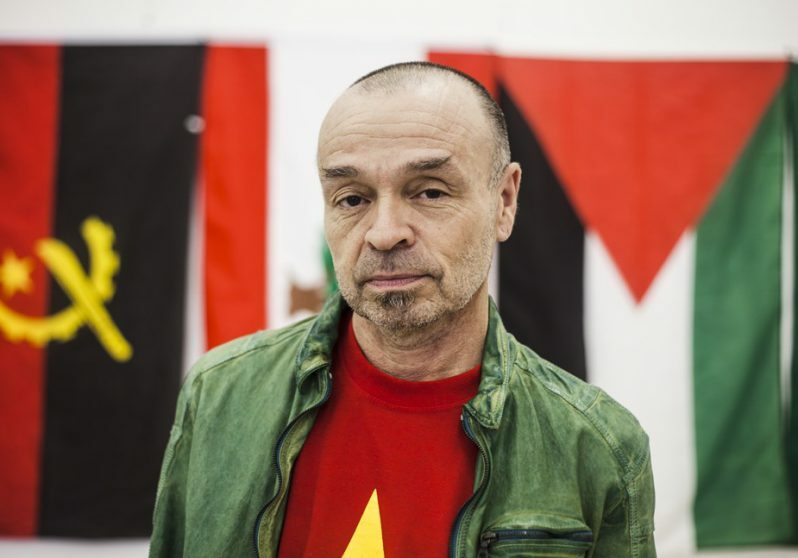 Most recently, Martinez is a recipient of the 2018 Rockefeller Foundation, Arts and Literary Arts Fellowship at the Bellagio Center, Italy; the 2017 Achievement Award for The Cisneros Fontanals Art Foundation’s 15th annual Grants & Commissions Program; the prestigious honor of receiving the American Academy Fellowship in Berlin, Germany (Berlin Prize) in 2016 and the Herb Alpert Award in the Arts from the Herb Alpert Foundation in Los Angeles in 2014.
the Pace Foundation, San Antonio, Texas. Daniel Joseph Martinez is participating in the Vancouver Biennale exhibition “This Is Not America” curated by Jeffrey Uslip.